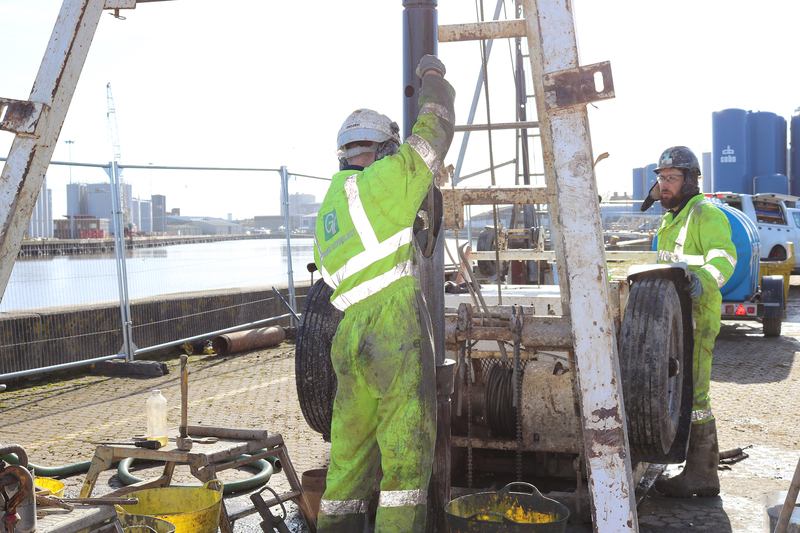 Services: Window Sampling, Cable Percussion Drilling, Borehole Sheer Vanes, In-situ CBR testing, Factual Reporting. Project Outline: GTS were awarded the contract to undertake investigative drilling to enable design of the bridge foundations and infrastructure design on the approach to the proposed crossing. We undertook a number of deep boreholes within difficult ground conditions in public areas, adjacent to roads, car parks and housing. Key to the success of this project was our close collaboration with the client, prioritising information required in a usable format for the client’s engineers. Our experienced drillers completed the works ahead of program and the site was left in a clean and tidy condition.